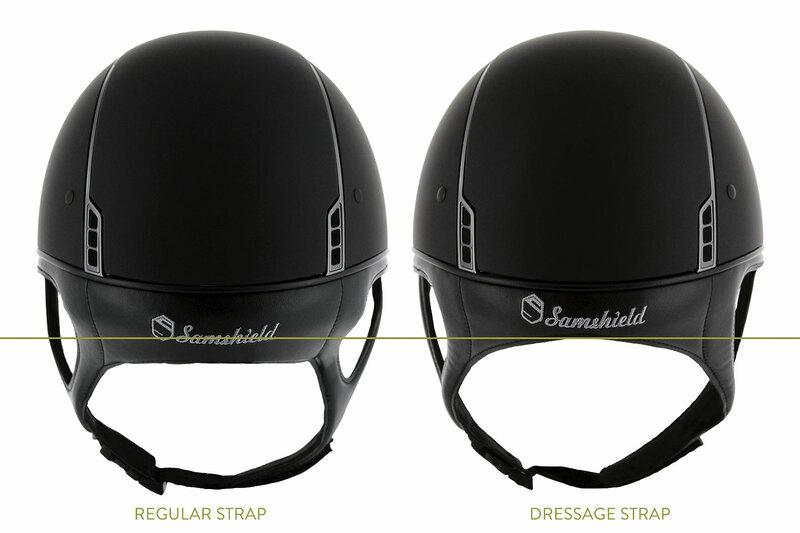 The Samshield Helmet is made for style and comfort, but most importantly for safety. Samshield helmets conform to ASTM, VG1 and SEI safety standards, making these fully legal for British Dressage, British Showjumping, British Eventing, British Riding Club and Pony Club competitions. 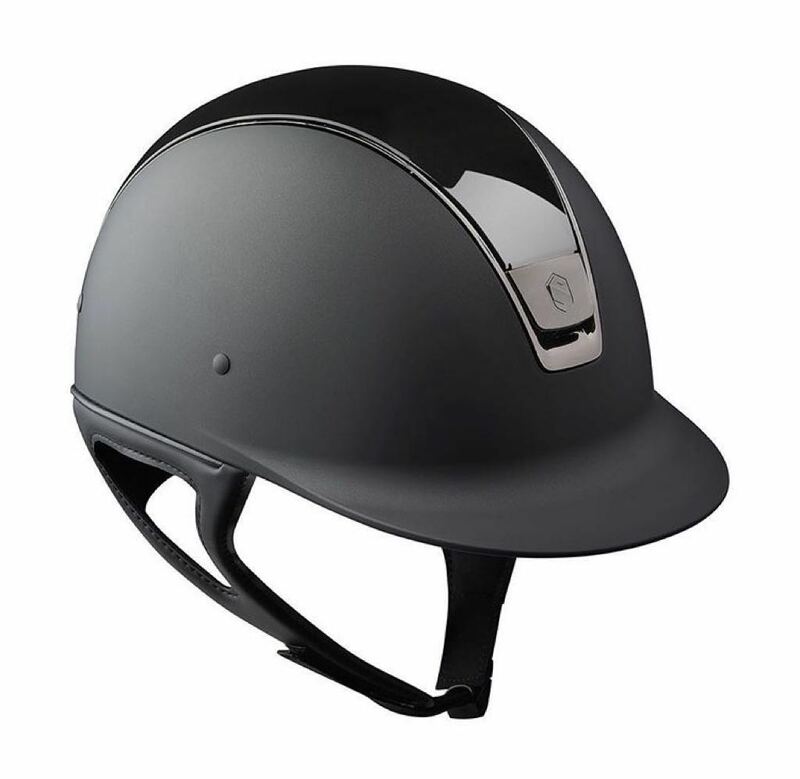 The outer shell of the Shadowmatt helmet is made of polycarbonate, which is one of the materials used for high-end motorcycle helmets. The helmet is then covered with anti-scratch mat paint. The inner shell is made of polystyrene with variable density providing effective dissipation of the energy produced upon impact. 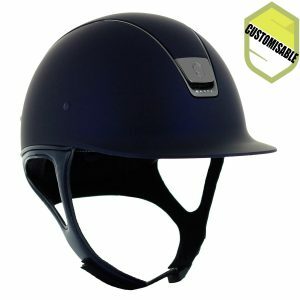 The internal comfort foam hat lining ensures a consistent thickness inside the helmet. 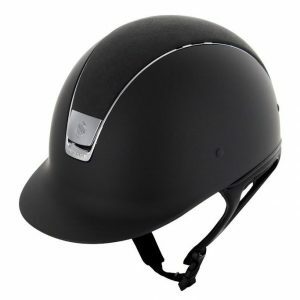 The use of a liner with semi-rigid jugular cancel out the risks of the helmet tipping in the case of violent movement. This internal comfort foam is removable yet sturdy thanks to a strong clip system. 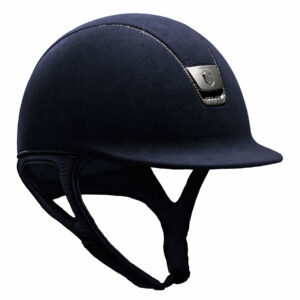 It can therefore be washed at your convenience in order to maintain a clean helmet. A thorough anthropomorphic study led to the design of an inner liner, creating unmatched comfort. Fresh air is channelled from the front vent to the back extractors in the helmet, preventing uncomfortable sweating. 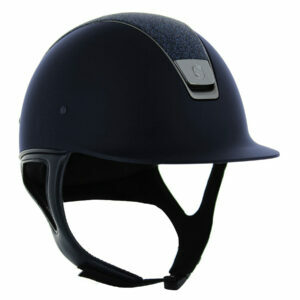 The Shadowmatt helmet is available in black and blue.